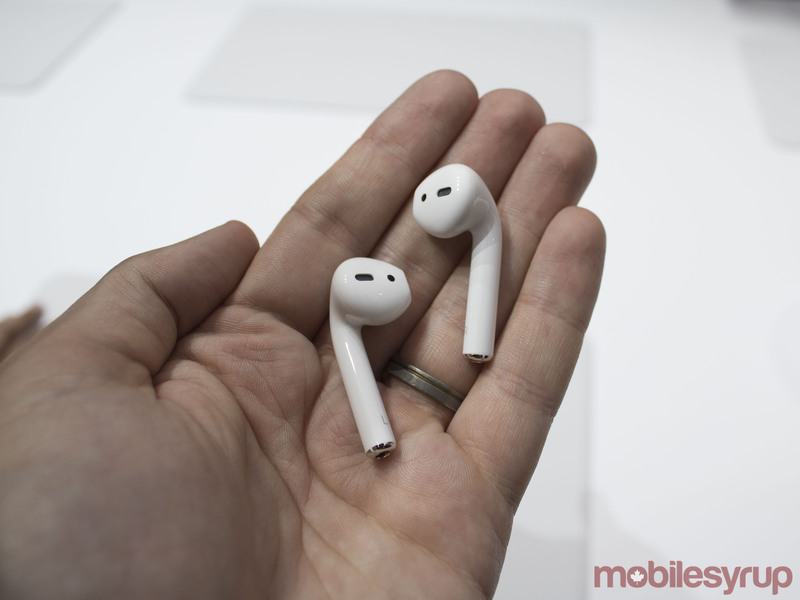 Apple announced AirPods today, a set of wireless earbuds that uses a brand new ‘ultra low-power’ W1 chip and intelligently connect to the company’s devices. The headphones look like classic Apple earbuds, but with a long stem that extends out of the ear. They promise five hours of battery life, with 25 hours worth of energy stored in a charging case. 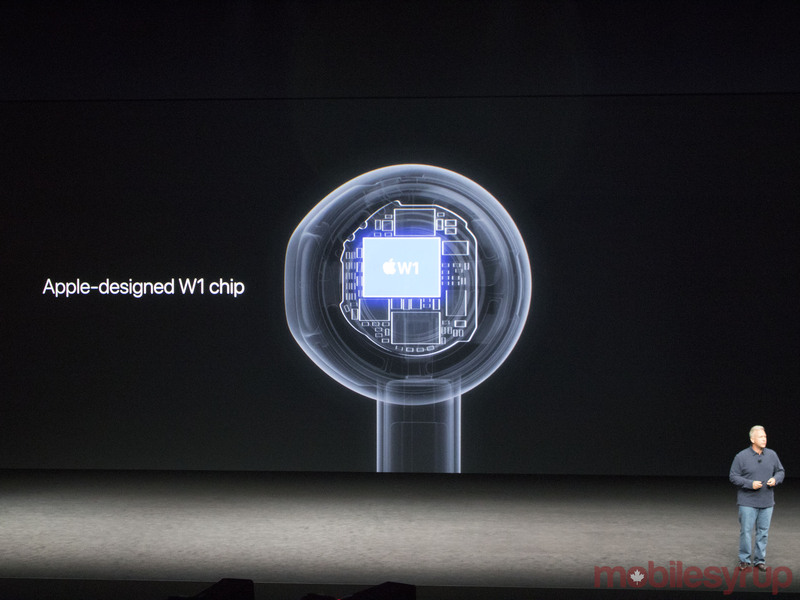 The headphones also feature dual built-in optical sensors and accelerometers in each AirPod. These sensors allow the chip to detect when the AirPods are in a user’s ears, so they only start playing when the user is ready to listen. To pair the device, users just have to open the case near their iPhone, states Apple — promising users that they won’t have to enter settings to make them work. Once that’s done, the AirPods are automatically set up with all the devices signed into your iCloud account, including iPad and Mac. Users will need to be running iOS10, watchOS 3 or macOS Sierra, however. Apple is also launching Beats Solo 3 and PowerBeats3 wireless headphones, both of which use the same W1 chip. 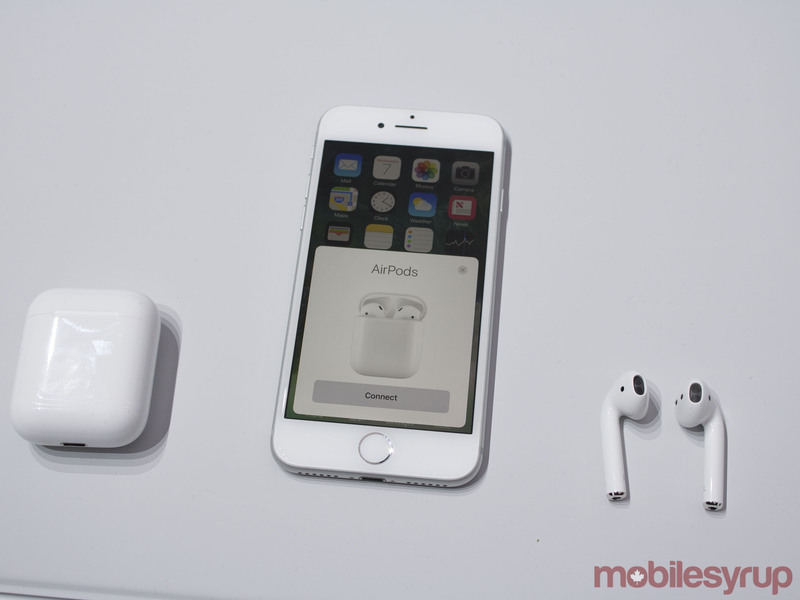 The AirPods are set to ship in late October at $219 CAD at Apple stores and on Apple.ca. For those purchasing the iPhone 7 or iPhone 7 Plus will be graced with a free set of EarPods with Lightning Connector and a Lightning to 3.5 mm Headphone Jack Adapter. In addition, Apple notes the EarPods will be sold separately for $35 (CAD), while the Lightning to 3.5 mm Headphone Jack Adapter will retail for $10 (CAD).